When you’re facing the summer sun When your skin burns and it’s no fun To walk in the sunshine, it’s too bright The summer glare hurts your head and sight… You’ve got mangoes on your mind…. You pick up the fruit, scattered all round Or in the market they can be found. 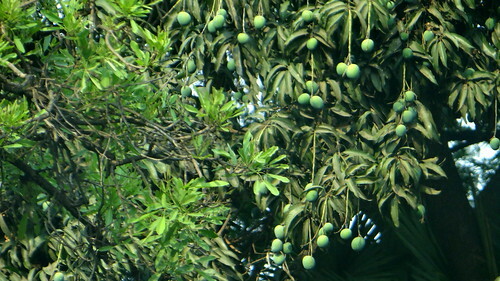 Small and raw, or with golden ripe sheen Or any of the stages that happen in between, You’ve got mangoes on your mind…. 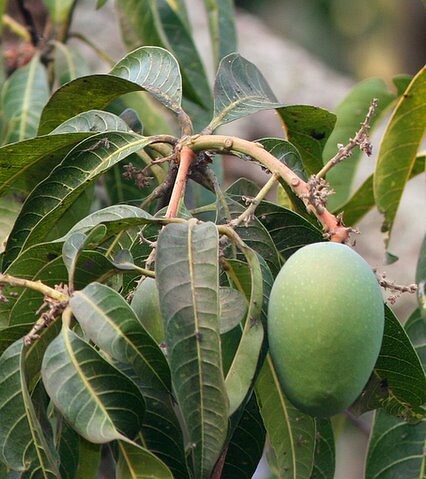 Made into pickle or eaten with salt Made into milkshakes or a thick juicy malt Any of the numerous varieties you get To crunch, or down your throat the smooth fruit you let You’ve got mangoes on your mind…. Other times of the year, you may not really see The beautiful leaves, the bark of this tree But when the fruit in bunches is hung About the mangoes paeans are sung! You’ve got mangoes on your mind…. Summer is awful, hot and sticky, About many fruits you’re choosy and picky: But when it comes to the King, mango… Into transports of delight you go… You’ve got mangoes on your mind! Oh, this wonderful delectation…I am an Am aurat, and I am certainly an “Am Admi Paati”!